Red, White, Blue… And GREEN! The Fourth of July is here, and it’s time to break out your red, white, and blue! But don’t forget your green. This holiday is about celebrating our beautiful country, so doesn’t it make sense that we also should be conscious of how we care for it? 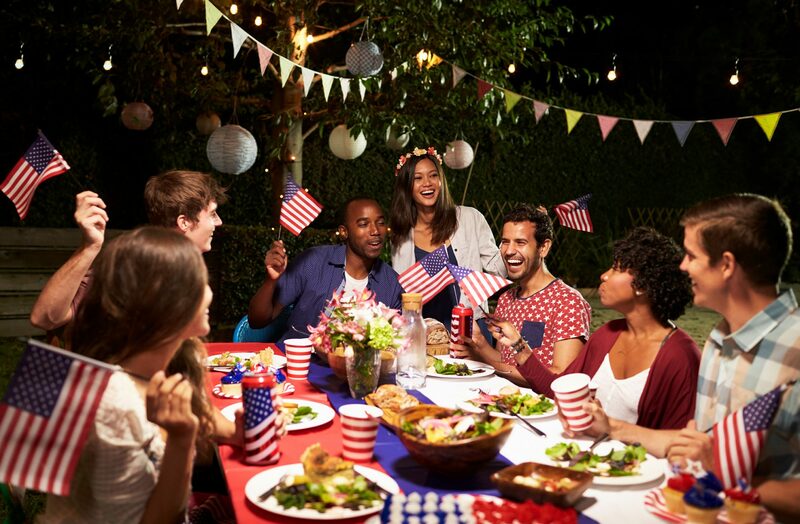 Check out these tips on letting freedom ring in a sustainable way. Disposables may be convenient when hosting holiday festivities, but they’re far from friendly to the environment. Bring down the reusable plates, bowls, cups, and silverware! A few extra dishes at the end of the night is all in the name of a cleaner planet. If you must use disposables, though, choose materials you can easily recycle, like paper, glass, and aluminum. There’s even dinnerware you can buy that’s been recycled once already—just make sure to keep it going! If you’re like me, barbecue is pretty much a must on the Fourth of July. However, there are greener ways than others to prepare your mouth-watering American fare. The majority of scientists have come to the conclusion that gas grills trump charcoal. Lump charcoal requires the cutting down of mesquite trees. And on top of the deforestation affect, it also takes more fuel to produce and transport than propane. Apart from these most common models, electric and solar-powered grills are even better in terms of eco-friendliness. When it comes to those who are traveling for Independence Day, try cutting down on gasoline emissions by taking as few vehicles as possible. Or go by public transit, instead. Either way, you’ll be helping the planet and traffic buildup. It’s really a win-win! Wherever you are this Fourth of July, spend it outside. Turn off the TV, put your phone down, and enjoy the summer weather. Set up some lawn games for a little friendly competition. Organize a hike to a breathtaking lookout spot. “Amber waves of grain” or “purple mountain majesties”—nothing gets you in the patriotic spirit quite like America’s nature. It’s hard to imagine the Fourth of July without fireworks. Unfortunately, after the spectacle, fireworks fall back to the ground and release a number of pollutants into our water, soil, and air. It’s best to just forego the sparklers, rockets, roman candles, and whatever else you may find inside those brightly-colored, one-time-a-year tents. At the very least, gather at a community-hosted event to minimize the number of releases.